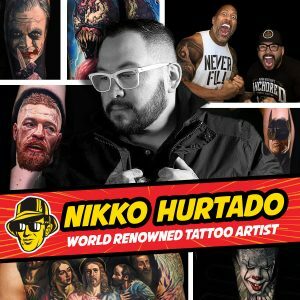 Nikko started being featured on numerous TV shows such as LA Ink, Tattoo Wars, Tori & Dean, and Spike TV’s Ink Master. 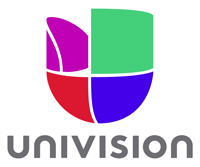 His TV appearances drew attention from celebrities and allowed him to tattoo Musicians Drake, Diddy, The Game, Fred Durst, Wes Borland, Brandon Boyd, Jose Pasillas, Wale, Andrew WK, and Cheryl Cole; Athletes Carlos Boozer and Chris Cole; Actors Dwane “The Rock” Johnson, Guillermo Diaz and Jenna Jameson; and celebrities Jeffree Star, Jesse James, and Kat Von D.
In 2017 Nikko opened a new studio located in the heart of Hollywood. Black Anchor Los Angeles on Melrose Avenue will not only feature top tattoo artists, but will also host an array of art shows and Black Anchor Academy workshops and seminars. Today Nikko is extremely humbled by the love and support of his fans, friends, and family. He also now has a tattoo collection of his very own and continues to learn by only getting tattooed by people he can learn from. He spends his life dedicated to tattooing, travelling the World and spending time with his family.